Forests possess an inherent character against which we can measure our accomplishments. Without forested landscapes, civilizations would cease. Trees that comprise forests are poorly appreciated. All trees are not alike, though most people think that when you cut down a forest you can replant a forest with another type of tree species that differs from what was originally growing. 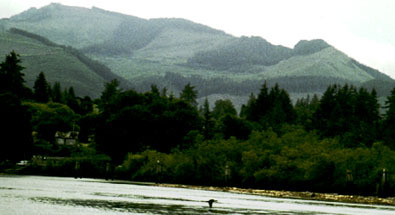 Such replacement of native vegetation say of Sequoia sempervirens, or redwoods by Douglas fir, is not ecologically based reforestation although some may call it conservation. That distinction is important because the altered ecological conditions are changes the species mixture and hence the wildlife of a forest. Trees are used to build every dwelling in our country and then their pulp is used to make paper on which we draw up plans! Even concrete buildings require wooden frames to build the forms into which the concrete is poured and shaped. We also use more paper to fill out permits to build, apply for and buy mortgages, and to record the deed for the property on which we construct these buildings. We also use wood and paper to purchase things for and to furnish these homes built from timber products! Trees are one foundation of civilization, from this perspective. In the picture to the left, above, this clear cut strand of a forest in Oregon is a poignant reminder that we never out grow our need for trees! The seashore is a "vast graveyard," Thoreau said, recognizing that the sea recycles all that is swept into its watery abyss. 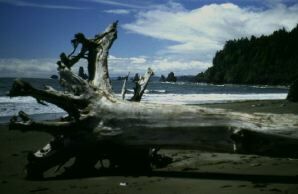 On the Washington coast of Olympic National Park, this beached tree hints at the great size of the forests within the temperate rainforests of the Pacific Northwest. Trees of certain long lived species can grow to very large girth, hundreds of feet in diameter, such as hemlock, Pacific yew, yellow cedar, cypress, or redwood. Trees along the Atlantic shore probably grew as large as the old growth forests of the Pacific northwest, except that Southern and Northern coastal forests were logged in the 17th century throughout the twentieth century leaving few huge trees remaining today. All trees of whatever size live by transforming light and water with sufficient carbon dioxide into simple sugars called glucose which they later use for respiration and growth. By doing so trees, like all vegetation hold on to the carbon dioxide vapor which due to photosynthesis is a liquid or solid sugar. This means that any vast amount of vegetation, but trees particularly are carbon storage units. In growing trees significant amounts of carbon dioxide are used in the early years of growth. Thus slow growing and old growth forests retain large amounts of carbon in the roots, litter, stems, shoots, branches and trunks of trees. As trees mature, like all vegetation, the ratio between the consumption of carbon dioxide in photosynthesis and the emission of carbon from this release of carbon dioxide in respiration shifts as the specimen ages from more storage to less storage of soluble carbon. In one sense, young trees eat carbon and older ones do not eat as much; becoming net contributors to the carbon cycle. This seaside mangrove tree on the Florida Bay is a salt tolerant species that adapts well to tides and waves in the Everglades. Mangroves are actually not a genetically related species of trees, but are an association of woods that can grow along marine shores while immersed in sea (salt) water. They are incredibly rich nurseries for fish and birds, like many other woodlands. Thoreau, an early ecologist, mused after walking along a seashore -- amidst the sands of Cape Cod; that "we too, are the product of sea slime." By that he meant we originated, as did all life, in the depths of the restless sea. Aforestation refers to the planting of trees where previously there were none. carbon sink is the term used to express the fact that trees --like reefs and ocean plankton (coccolithoiphores) take up carbon dioxide out of the air and store it in soluble form. That reduces the amount of the vapor gas in the air or sea to trap heat. The capacity of vapor to store infrared radiation –or heat– is greater than the soluble carbon in sugars and other solids. 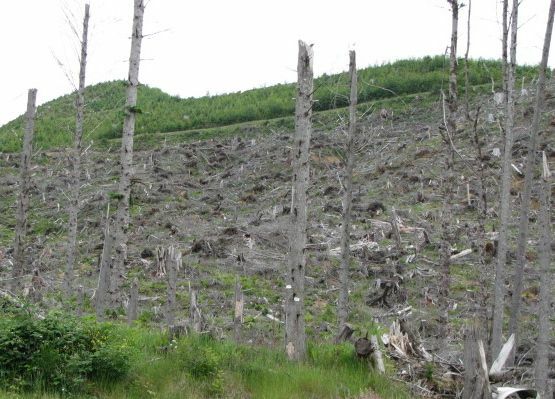 Deforestation refers to the removal of trees from a forested area. Reforestation refers to the replanting of trees to replace timbered or harvested woodlands. Woodlands an area of groves, wooded landscape or trees. 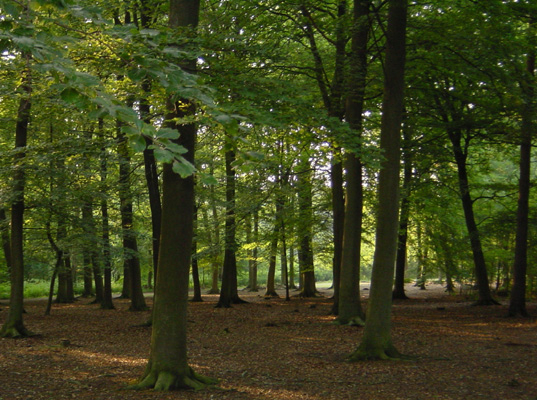 Related discussions of forests involve the value of trees. Trees have more than a single fluctuating value as timber for lumber markets. That is but one quantifiable measure of a forest's importance. absorb and slowly release nitrogen, phosphorus and sulfur. Forest related | Forest Problem | Atlas | site-map | Ecology | laws | quick look.